I swish my cape at you! 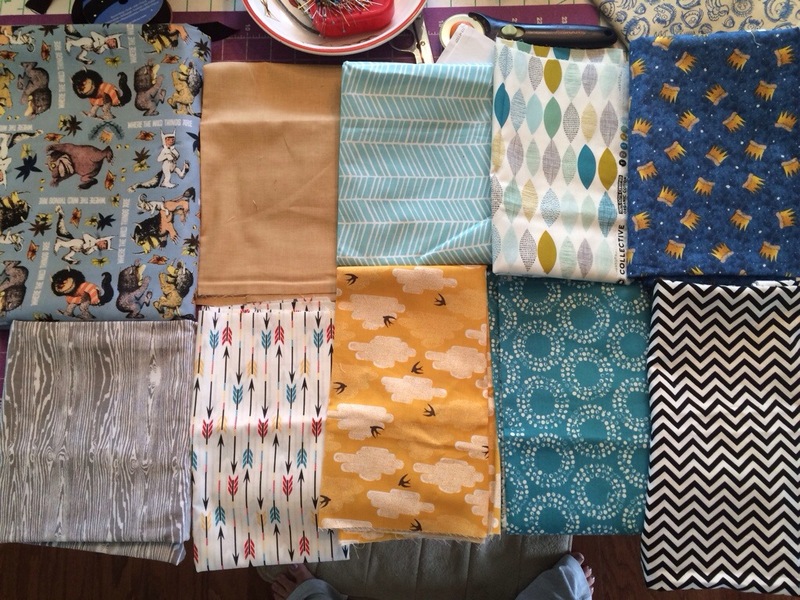 I am the mom of a 2-and-a-half year old boy. My house is filled with planes, trains, and automobiles. We are also a lover of the Disney movies Cars and Planes. I’m not ashamed to admit that I often bribe my son on shopping trips, “if you sit nice, we’ll walk past the toy aisle on our way out…” Well, on a recent trip to Walmart, they had all the new figurines for the Planes 2 Fire & Rescue movie. I think the folks at our local Walmart took this as an opportunity to clean out their storage room because they also had figurines from the first planes movie too. Let me introduce you to El Chupacabra. Next to Dusty Crophopper, El Chu is my son’s favorite character from the movie. I have been looking for the El Chu toy for awhile and with the release of the new movie, haven’t been able to find the toys from the old movie. Needless to say, we haaaaad to buy him. Zac and El Chu were inseparable for a few days. Everywhere we went, he came with us. 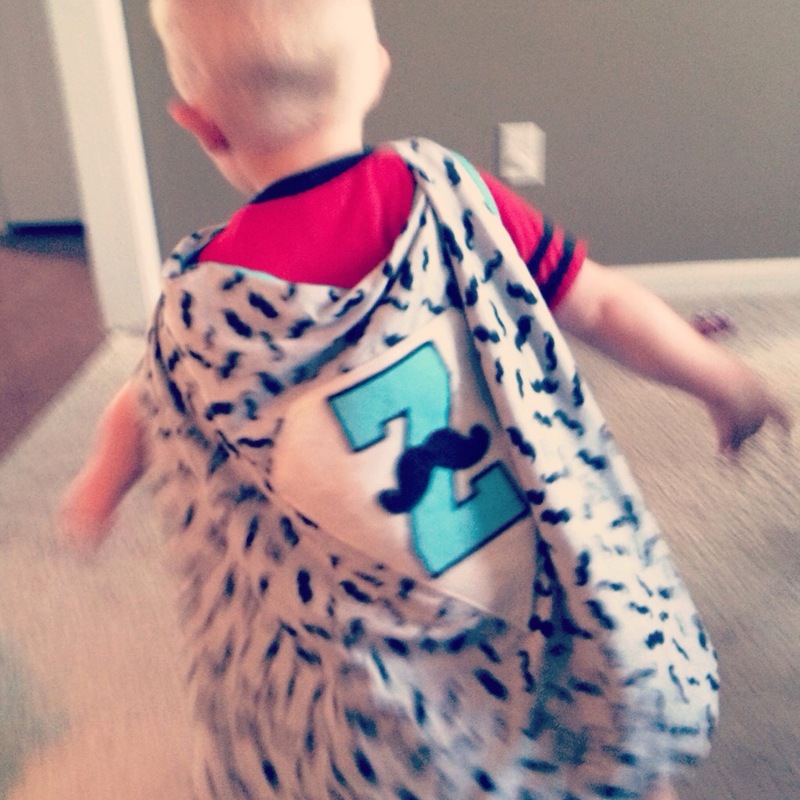 During this time, I was working on a superhero cape for an Etsy order and showed it to Zac. His face lit up and he said “Cape!!! I, I swish my cape at you” (a line from the Planes movie). 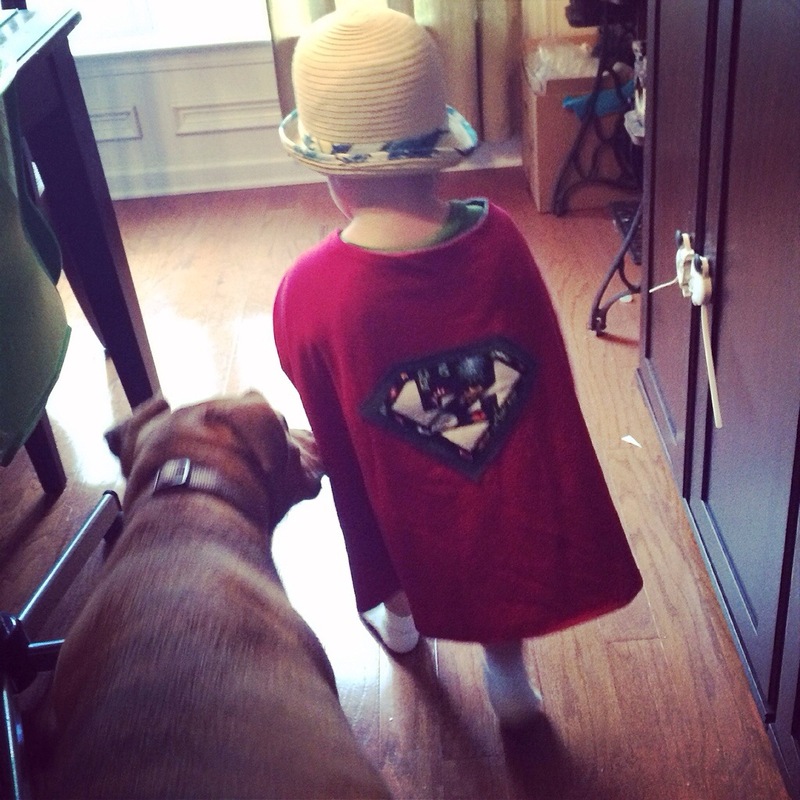 I made two capes for Zac last summer and he had no interest in them whatsoever, until now. Now he wants to wear a cape because it makes him like El Chu. He’s worn this cape multiple places over the past few weeks. It’s been worn to a birthday party, grocery shopping, on evening walks, and today he wore it to his Gymboree class. 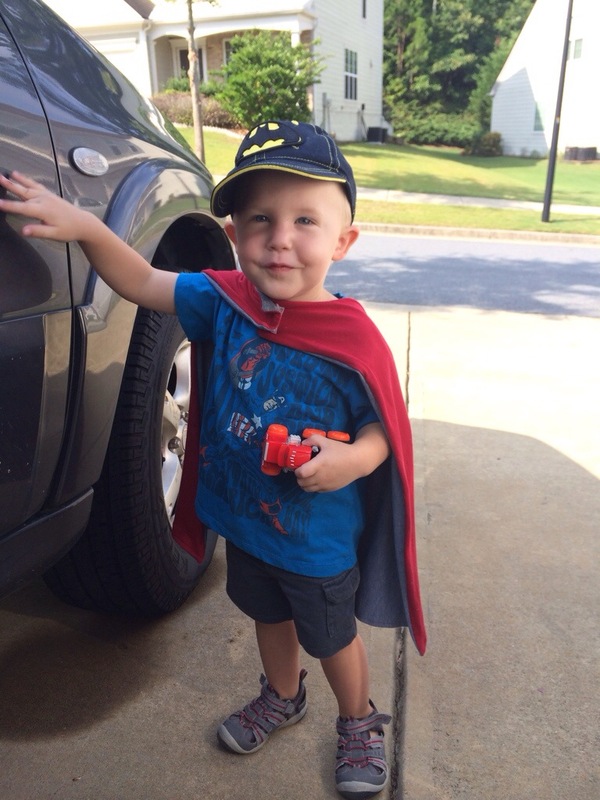 Zac’s latest “trick” is running circles around the house and making his cape fly. Secretly, I love it!! Shameless plug- the red superhero capes are available for order in my Etsy shop. 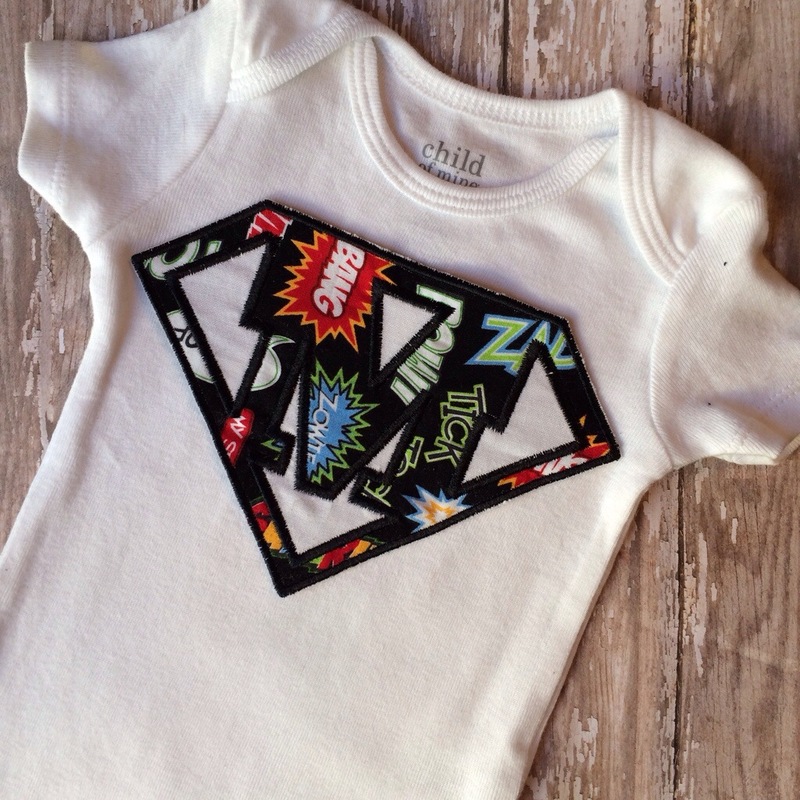 Today I also added a superhero onesie. I think these would make an adorable combination for a big brother/little brother photo session. Use the code SUPERBLOG for 15% off any order. 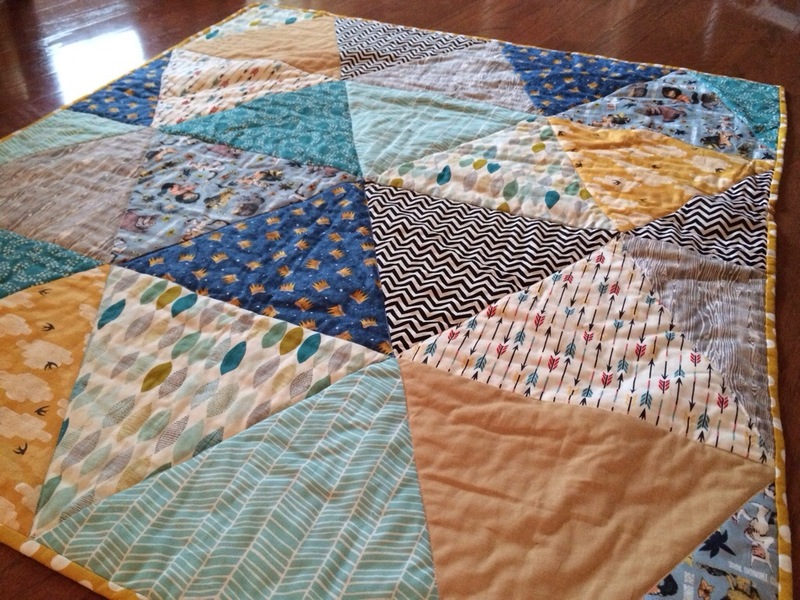 It’s no secret that I seriously love the book, Where the Wild Things Are, so I was over the moon excited when an etsy customer asked me to create a custom quilt for her newborn’s nursery. 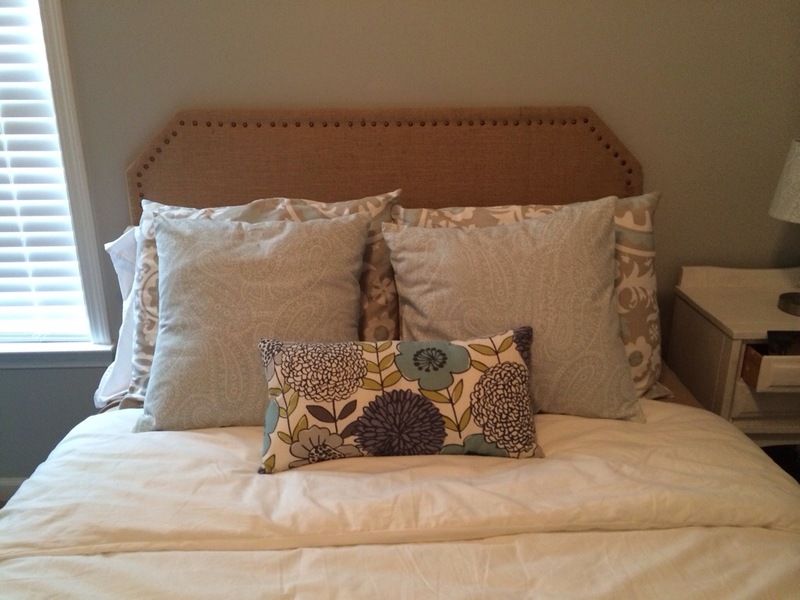 Working together we chose 10 coordinating fabrics, and here it is! 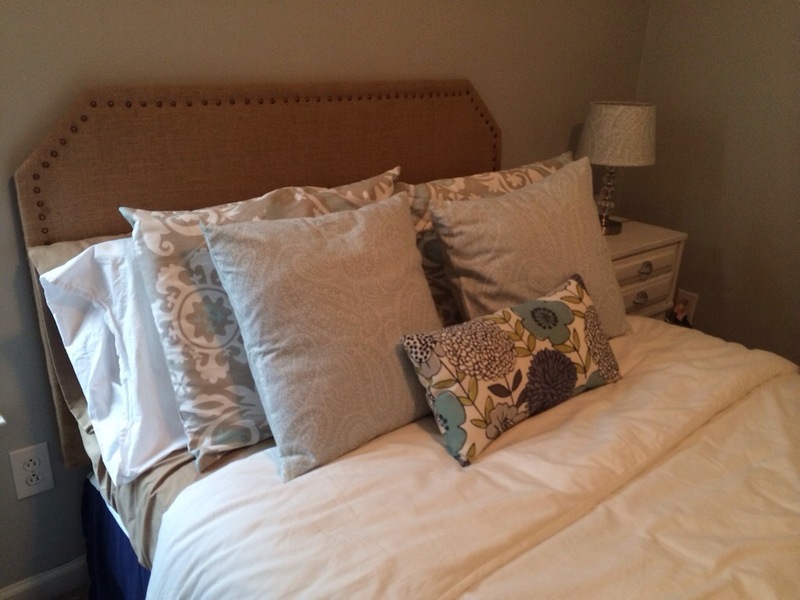 The quilt measures approximately 42″ by 48″. 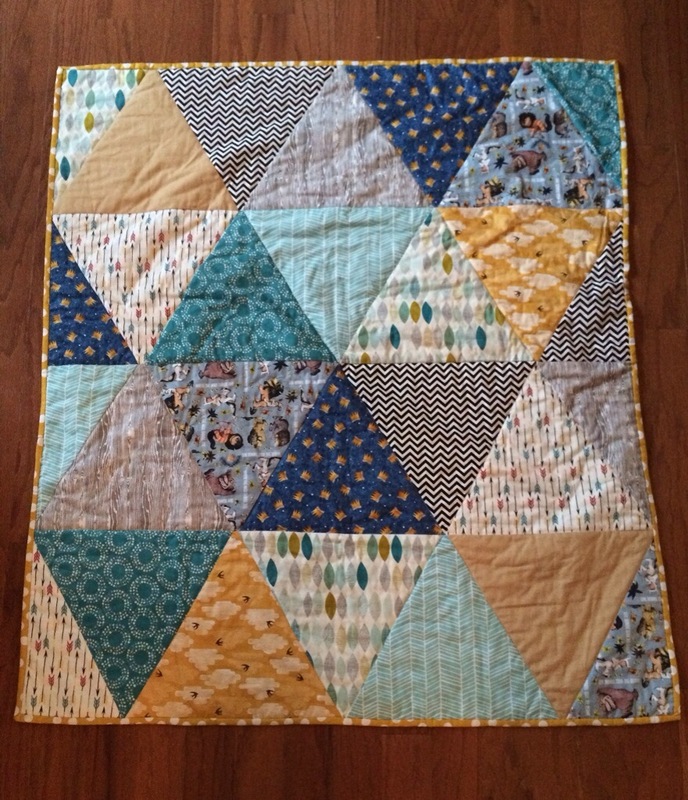 It’s backed with navy blue flannel and I used 100% cotton batting between the layers.